Brinner : Playing catch up! 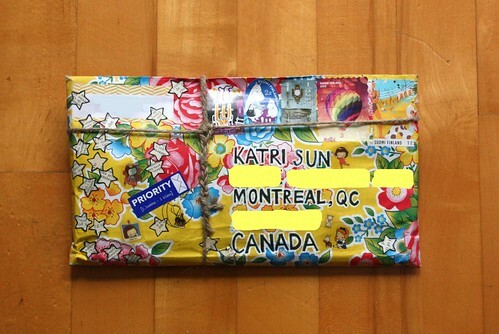 So, as it turned out I didn't get a chance to write about some awesome mail yesterday. Albeit not for the reason I suspected. I wasn't feeling well on Sunday, after the wedding but I thought it was just because I hadn't slept enough (I must say I didn't have enough drinks that night to merit not feeling well for entirely other reasons). On Monday I was feeling worse, scratchy throat, stuffy nose and just sore all over. After a quick chat with my sister-in-law, I decided to not go to thanksgiving dinner at my in-laws. I don't want this story to be told to my nephew one day: "the first thing your auntie-Katri gave you, was a cold"
The first one is heading out to my lovely letters partner. 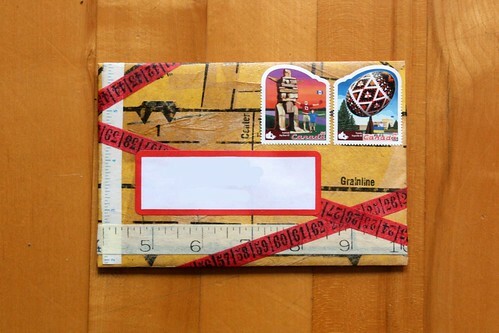 The envelope is made from vintage dress pattern and embellished with washi tape printed to look like tape measures. 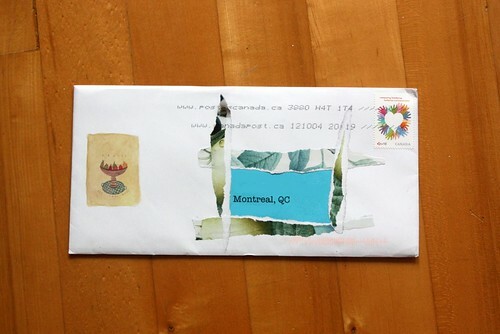 First another beautiful piece of mail from Susanne. 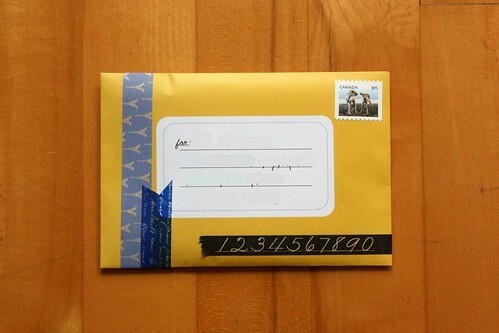 I love the envelope and the handwriting is always gorgeous. I almost didn't want to cover the address since it was so pretty. The letter was beautiful too, it was written in old-school ink. 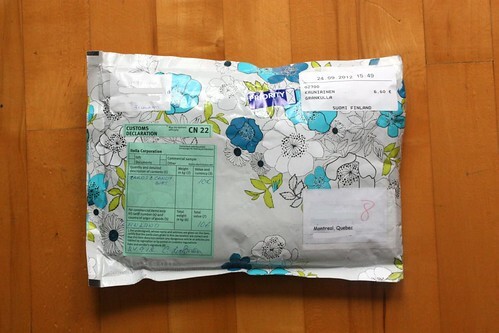 Then we have another package from Finland. Also floral, it was a very pretty week when it came to mail. And finally a letter from my favourite librarian. 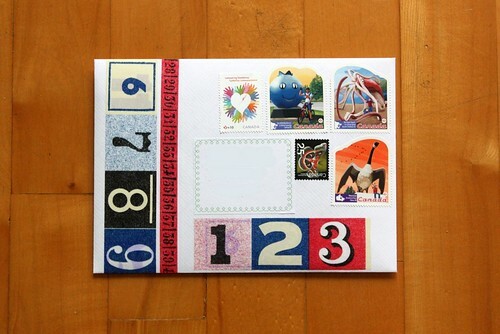 She used paper strips to add some interest to the front of the letter. I have a whole lot of cool stuff to show you guys and I'm also preparing the first giveaway for the blog. Stay tuned for more paper awesomeness! Thank you! I think I already mentioned my weakness for washi tape, so I'm using it everywhere!